Climb to new heights with LOOP NOLA! LOOP NOLA is excited to host 504ward at its City Park Challenge Course on Saturday, May 12, 2018 from 9:00am - 12:00pm LOOP NOLA City Park Challenge Course is a progression of activities, initiative problems, challenges and trust activities that develop and inspire individuals and groups. 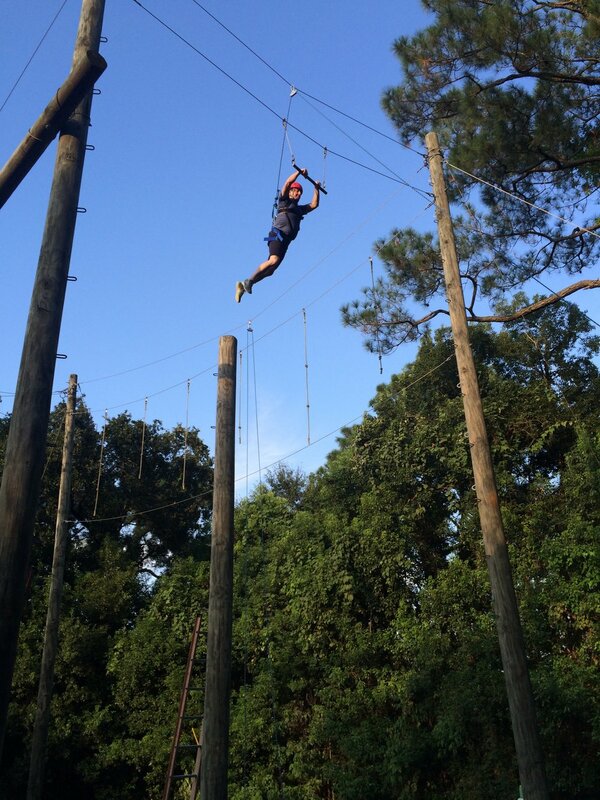 Secluded in a forest full of slash pine and live oak trees, our Challenge Course is the only high ropes course in the city of New Orleans. We have three courses that include eight high elements over thirty feet in the air that build confidence and test limits through fun and dynamic challenges! The LOOP NOLA staff are trained and certified by the Association for Challenge Couse Technology and are committed to a safe and meaningful experience. The high elements challenge participants physically and emotionally and the difficulty level is set by the participant. Participants must be over the age 18 and all participants must wear closed toed shoes. LOOP NOLA will have water, sunscreen, bug spray, and a first aid kit available. The discounted cost for 504ward members is $25 and the fee supports our mission of providing positive, life-changing outdoor experiences to underserved, urban children and youth. There are only twenty-five slots available so register soon to reserve your spot! Contact us at hwest@loopnola.org or (504) 655-2770 if you have any questions or want additional information.